We are always looking for dedicated individuals to join our team. Please review the information below to learn more about our organization and what we are seeking in a new employee. We recognize that every employee contributes to the success of our practice and the well being of our patients. 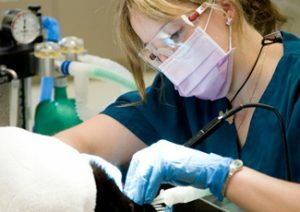 Our philosophy is to provide exceptional veterinary care to our clients and patients by delivering “quality care with compassion.” This enforces our purpose of “providing peace of mind to our clientele.” We treat every client as though they were family and every patient as if they were our own. Extending kindness and having a caring attitude is very important and required at all times. Our six core values are what our organization is built upon. We require that you demonstrate and adhere to the following values. Be honest with our clients and teammates and treat everyone with respect. Show genuine compassion and empathy for our clients and patients. Be part of an empowered team to use good judgement to optimize each client’s experience and resolve any concerns quickly. Bring a positive attitude to the hospital every day. Provide client education to assist them in making informed decisions. Have a thirst for knowledge to grow in your role. Share your knowledge with others and incorporate new therapies, techniques and technologies to aid in healing our patients. Desire to work in a progressive small animal hospital where you can be mentored and develop your career? Enjoy working in an environment where clients feel like family and they know you by name? Appreciate building long term client and patient relationships while delivering quality care with compassion? Embrace the collegial work environment where you can learn from dozens of experienced doctors and licensed technicians? Prefer to have a reasonable work schedule that will accommodate a family orientated lifestyle? Love to be part of an advanced hospital team with electronic medical records, digital radiography, therapy laser, ultrasound, in-house laboratory and other up to date technology? Welcome effective communication among your team members utilizing the latest technology to assist? Seek a reasonable salary (based upon experience) with benefits that exceed what most small scale employers offer? Know that you can embrace our philosophy, enforce our purpose, and adhere to our core values? If you answered “Yes” to all the above questions, we would like to talk further with you about a great career opportunity. We are an equal opportunity employer and follow all State of New Hampshire and Federal employment requirements. We thank you for considering us for your employment. Please clicking the apply now button below to submit an application and attach your resume.